There are 24 reviews of Sublime Vanille. Opening is vanilla but of the cheaper variety found in air freshners, not the edible kind. The drydown is nicer, morphing into a spiced, lemon-vanilla cookie. Reminds me of Eau des Baux plus the lemon note. A nice scent that leans feminine to me but should smell nice on anyone. Good performance all the way around as it has adequate projection and 7-8 hours of longevity. The first of the Creed Royal Exclusives line of scents, Sublime Vanille is an elite take on the popular vanilla note present in fragrances great and small. I realize that opinions differ with this scent, but from my point of view, Sublime Vanille is a simple, crisp, no-frills presentation of a pure vanilla "taste". The combination of vanilla proper and vanilla orchid ("South American bourbon vanilla") skillfully synergize with dipterix odorata seeds (tonka) into the amazingly pleasant, sweet note that many have come to know and love. A wonderful touch is the incorporation of lemon and bergamot in the BASE (not a common place to find either of these) to add a subtle tang that never overtakes the sweet savor of vanilla, but rather enlargens it. Musk works well to accent the scent overall. The ornately carved, hand-blown Pochet glass bottle lets you know that, in order to own this prestige take on vanilla scents, you'll have to plunk down a considerable, Clive Christian-like amount of money. You may be tempted, once you check Sublime Vanille out for yourself! A pleasant, cozy vanilla of the sort produced by the christmas tree deodoriser in my cousin's car back in the late 90s. Yes, its been a long time since this sort of vanilla found its way into all sorts of cheap candles and other common fragrance products, but we haven't forgotten Mr.Creed. Thats why vanilla is a graveyard for so many niche brands. Guerlain is an exception, seek out Spiritueuse Double Vanille if you are shopping in this territory, lots of dollars to be saved and lots of happy olfactory experiences to be had. Thumbs up for the flavour. This opens like the highest quality Vanilla Italian Gelato scented with superior Lemon. Drys down gently, to a beautiful non fatty, cream musk and powder. Later on whispers of unlit pipe tobacco. 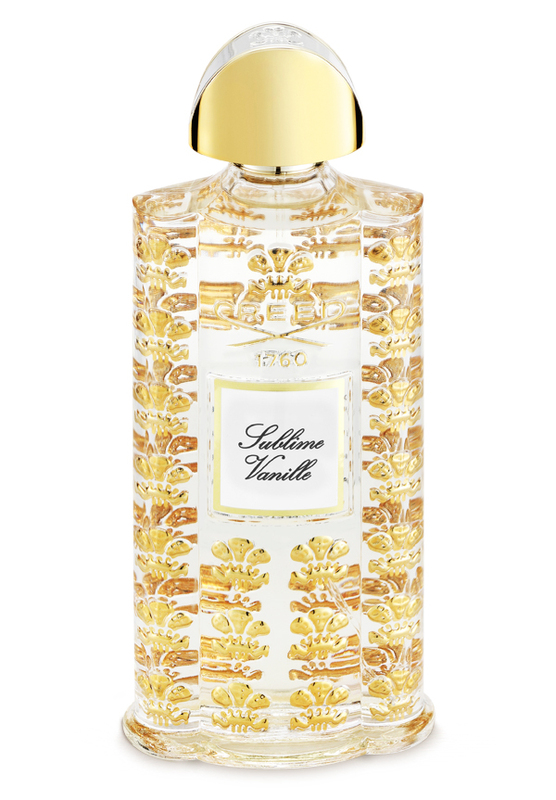 Ok, however I like the dreamy faux of Mono di Orio Vanille too much to have more than a sample of this. I had high hopes for this because of the vanilla and Tonka notes. However, there was too much citrus (lemon)for my taste. Also, something about it made me sneeze. I found it to be kind of harsh rather than soft as others have said. There are no member images of Sublime Vanille yet. Why not be the first?